Comments: A very good red variety. Celosia will grow in part shade, but perform best in full sunlight. 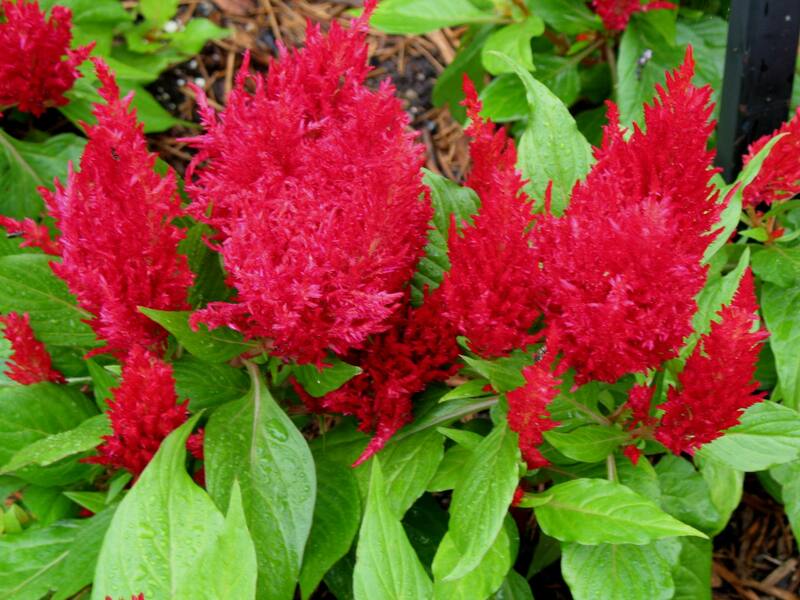 Celosia will bloom well with a relatively low soil fertility. Among the easiest of the annuals to grow from seeds and a relatively low cost for large mass plantings. Few pests and requires relatively little maintenance.